In the future we may have giant zeppelin style wind turbines floating above. It’s good because the winds are stronger at higher altitudes and also these wind turbines won’t be as much in the way as regular ones. Oh, and it’s also a WiFi- hotspot! The MIT startup Altaeros Energies has been given a $1.3 million grant by the Alaska Energy Authority to test the design over the course of 18 months. The turbine, known as BAT-Buoyant Airborne Turbine, will be filled with Helium and allowed to go up 1,000-2,000 feet where it’ll be able to generate twice as much power as a ground-based structure. While it’s up there, it’ll also serve as a WiFi hotspot, providing not only power but Internet connectivity to the families currently living off the grid in these remote areas. 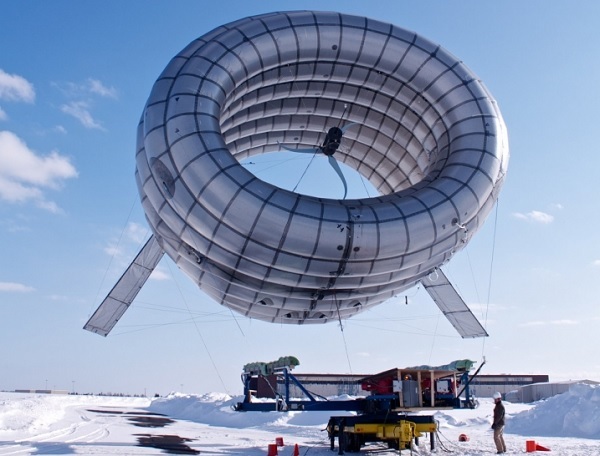 The helium-filled turbine will be installed over the city of Fairbanks, Alaska, and will feed energy into the grid through cables that will connect it to the ground. Spot on with this write-up, I seriously feel this amazing site needs much more attention.